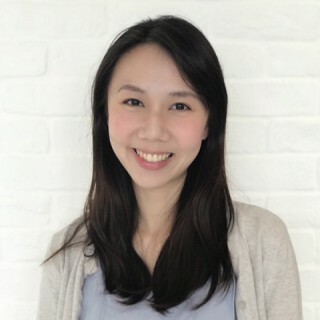 Karen Chan is a process engineer at Merck Pte Ltd. Chan has six years of experience in the biopharmaceutical industry and two years of experience in research & development. She provides technical support in areas such as process development, troubleshooting and technical training for downstream processes. Chan holds a degree in Chemical Engineering from the National University of Singapore. 1. Please elucidate details on the efficacy of a ‘Simple Static Cleaning Procedure’, which is used for Single-Pass Tangential Flow Filtration (SPTFF). Single-Pass Tangential Flow Filtration (SPTFF) is a simplified way of running ultrafiltration. Compared to traditional batch TFF, which operates by recirculating the feed/retentate through filters assembled in parallel until the desired conversion is achieved, SPTFF utilizes a longer feed channel path to reach the target product concentration after one pump pass and hence, no recirculation loop is required. The static cleaning procedure was developed to similarly eliminate the tank, pump passes, and recycle loops associated with batch “multi-pass” processing to maintain the simplicity of operation of SPTFF with the efficiency of batch cleaning. This cleaning method involves incubating the cleaning agent in the cassettes for a period of time without flow, then uses dynamic flushing at the same low flows used in a SPTFF process to flush out the residue that was left in both the retentate and permeate lines. 2. How is Single-Pass Tangential Flow Filtration (SPTFF) useful to Merck customers? SPTFF enables volume reduction to reduce intermediate pool tank requirements for optimal facility fit, reduce size of subsequent steps, and facilitate high final concentrations (by requiring lower working volumes) with high product recovery. SPTFF also supports continuous, connected, and intensified processes by linking with different unit operations. The small footprint of SPTFF is ideal to easily accommodate a concentration step anywhere within a biomanufacturing process where volume reduction is needed, including before or after a column chromatography step—such as to overcome tank bottleneck issues or reduce the size of subsequent unit operations—or at the final concentration step. 3. Can you please explain how different is your SPTFF with Batch TFF operations in Biopharmaceutical industries? SPTFF can achieve target concentrations with one pump pass compared to batch TFF, which requires the feed material to recirculate back to the feed tank and pass repeatedly through the pump over a period of time. The Merck SPTFF concept makes use of diverter plates to configure the feed flow path to achieve a longer residence time and thus, pass more of the feed through the membrane into the permeate. The diverter plates used for SPTFF can be easily implemented in existing Merck holders with Pellicon® 3 cassettes. 4. What’s your perception on maintaining the simplicity of the straight-through flow path? SPTFF runs at constant operating conditions throughout the process, which simplifies the required hardware and control parameters. By avoiding recycle loops, simplicity of operation is maintained for ease-of-operation, lower costs, lower footprint, and more reliability. 5. In what ways is the static cleaning methodology applied to SPTFF? SPTFF can be linked directly to different unit operations where in-line buffer composition and higher product concentration may be required. However, there are limitations in the available options and flow rates used to clean the cassettes. The static cleaning procedure allows biomanufacturers to maintain the simplicity of the SPTFF flow path by using a combination of dynamic flushing and static hold steps without recirculation, while maintaining the cleaning efficiency of traditional batch flow paths. As the cleaning solution is introduced into the system at the same low flow rates used in a SPTFF process, the method eliminates the need for a recycle cleaning tank and loop typically used with batch cleaning. 6. Kindly illuminate on how efficient was the usage of Simple Static Cleaning Methodology in the SPTFF Process? Merck’s Static Cleaning Procedure case study demonstrated that the static cleaning method is as an easy-to-use, viable, and robust cleaning method for Ultracel® membranes running in SPTFF mode after 20 cycles of protein concentration. Over 20 uses and static cleaning cycles, the method was effective in providing consistent conversions and process fluxes for consistent retentate concentrations. 7. What are the core innovative outcomes of the Static Cleaning Case Study conducted by Merck engineers and please highlight how advantageous they can be in execution of the SPTFF process? Adequate cleaning of cassettes in series has required either flushing with large volumes of chemical solution, which increases costs, or recirculation of cleaning agent to conserve solution, which counterbalances system simplicity. A key outcome of the static cleaning method is the flexibility of cleaning the cassettes without the need of a recirculation loop and tank while limiting the volume of cleaning agent used. The method is a simple, easy-to-use approach that can be easily implemented with Merck’s existing Pellicon® holders and cassettes. 8. Kindly, explain how Pellicon® cassettes enhance the scale of biopharmaceutical production. Pellicon® cassettes incorporate high performance screens in the feed channel that produce high flux rates and thereby, reduce membrane area requirements. Large volumes of material can be processed with a relatively small membrane area and low hold-up volumes to deliver high yields. Cassettes scale linearly from small-scale device (0.0088 m2) to production-scale systems of 120 m2 in size using consistent path lengths. Pellicon® 3 cassettes are made using an automated process for consistent performance. Manufacturing lot release criteria for pressure drop across the feed channel is used to ensure batch-to-batch process performance consistency. 9. What are the new innovations that Merck has incorporated into Bioproduction processes? Merck has been instrumental in the development of some of the leading innovations in the biopharma manufacturing space. One of our most recent innovations in the biopharma space is the Pellicon® Capsule with Ultracel® Membrane, a first-of-its kind single-use tangential flow filtration capsule for bioprocessing of antibody-drug conjugates and monoclonal antibodies. In addition, we recently launched the Millipak® Final Fill Filter for high-value, small-volume processing and the Mobius® Power MIX 2,500-Liter and 3,000-Liter large-scale single-use mixers. Another new solution Merck has introduced to the bioproduction process is the Viresolve® Barrier capsule filters, which are used to protect against bioreactor contamination. Viresolve® Barrier filters are designed to remove viruses, mycoplasma and bacteria from cell culture media. Merck has also incorporated these new innovations into bioproduction processes: SPTFF, Pellicon® 3 cassettes with D screen for high viscosity ultrafiltration flocculation, low extractable synthetic depth filters, perfusion growth media, virus resistant cell lines, in-line spiking validation, and Emprove® product dossiers for validation. Throughout our 350-year history, Merck has collaborated with our customers to shape how drug production is done today, and will continue to shape the possibilities of tomorrow. Merck provides the industry’s most comprehensive portfolio of high-quality products, services and testing for biopharmaceutical manufacture. Our deep-rooted industry experience and application expertise is relied upon by customers worldwide. From process development to facility design and construction, we push the boundaries of what’s possible in our customers’ product programs and help deliver the future of medicine, faster.